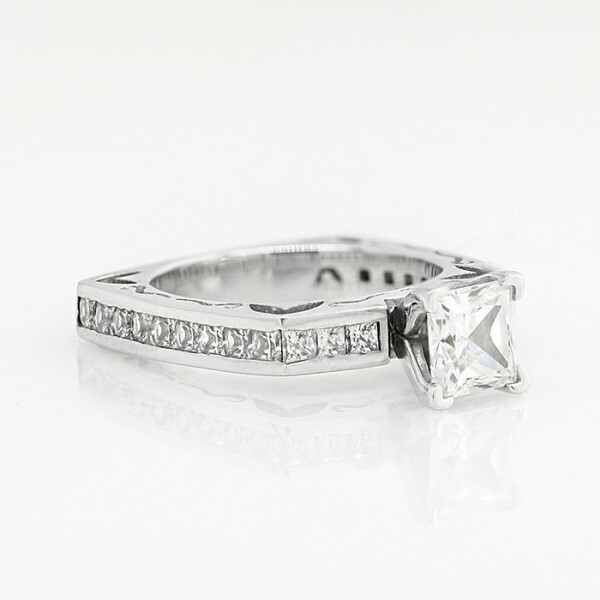 Maya Costa with 0.99 carat Princess Center - 14k White Gold - Ring Size 5.0 was added to your cart. 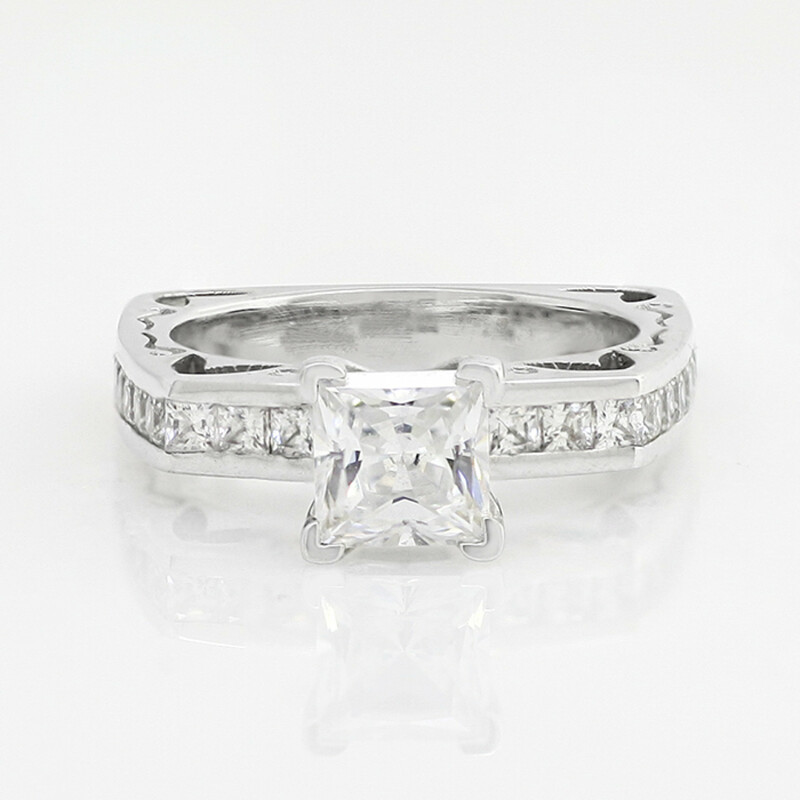 Based on the ring that started it all: the designer Michael Nashef's wife's engagement ring. The square Euro style band helps it stay comfortably in place on your finger, accented on the sides by swirling relief designs and Intersecting Hearts cut-outs in the corners. Channel set Princess cut Contemporary Nexus Diamonds accents fill the band with easygoing sparkle for a beautifully design.